The Dark Ranger: Mikey Likes It! He Really Does! The good news is that Michael Nylander wants to stay with the Rangers. Turns out his agents are beginning talks with Glen Sather and The Rangers Brass to, hopefully, lock up a 3-year deal around the $15 to 17 million dollar range beginning this fall. Financially, more than Sather wanted to pay, especially given his secret deal with Nylander's now-fired-former-agent, and count on the new demands to be one year more than he wants to offer. Though, when you break down that Nylander scored second in goals this past season -- largely thanks to Jagr -- and he provided chemistry with Jamomir on the first line, he is worth it. We've seen one of his best seasons in the NHL and The Dark Ranger is changing his mind on our much-needed Michael. 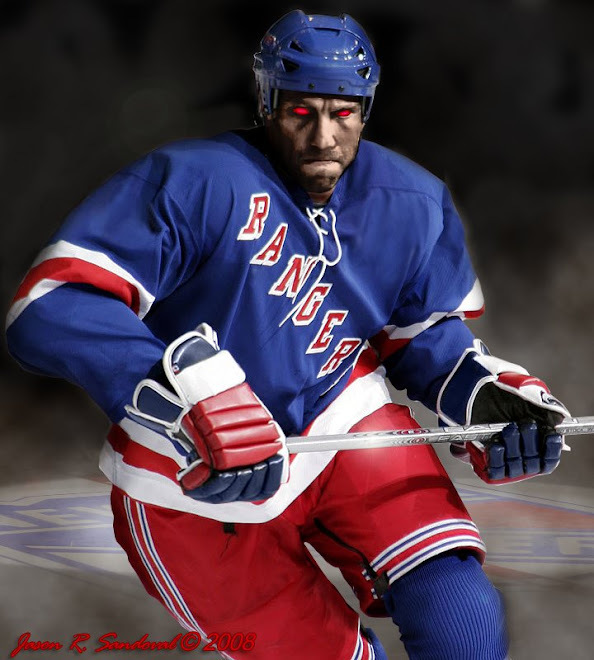 With the additional cap room next season, the NYR franchise can afford it. One more 2nd-line center for Shanny to go....then on to larger acquisitions!!! !